This is Kevin Kastning solo. Alone, sparse, wandering, introspective and meditative, playing either his 30-string contra-alto guitar, or his 36-string double contraguitar. This marks his fifth completely solo effort among 33 solo and collaborations on Greydisc records. 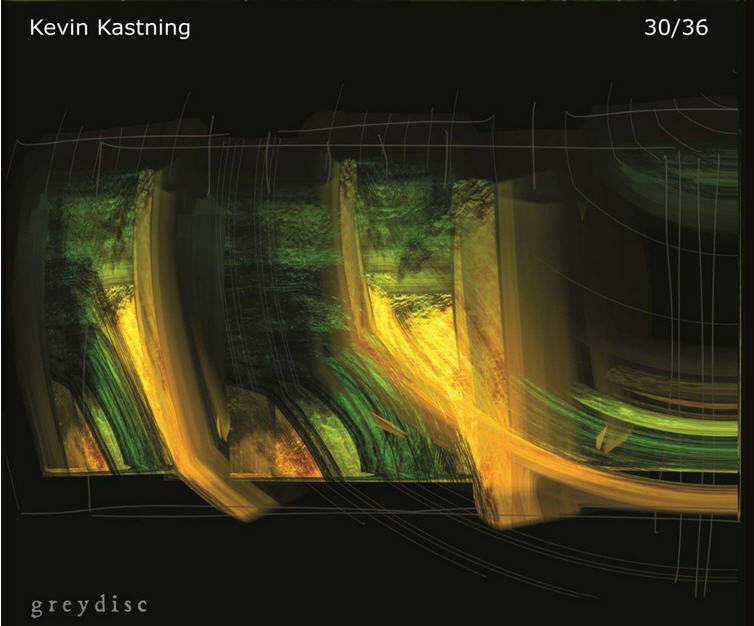 Some may wonder why Kastning releases so many discs, but if the ideas are there along with the feeling inside, the muse must be shared, and given that what he produces is so unique, a product of his own soundworld with his numerous custom and completely unusual sounding stringed instruments, there is certainly none other like him. A true original. With 30/36, many of the pieces here are short suites that go through a number of ideas before they conclude; they tend to be a bit longer than most of his compositions, many in the six to ten minute range, evoking a range of different feelings as they wander through a number of phases, much like fragments of dreams with hidden portals that the listener crosses as they find their way to and through the next hidden step. Every piece is somewhat reflective and provides a solitary and peaceful space for the imagination to grow freely. “Bahuya II” begins with a four note descending melody repeated only a few times before it begins to morph and wander into spaces completely unlike where it began, all the time emphasizing the importance of space between notes, allowing the listener openings where the notes in play can be processed. “Wotruba II” follows it, offering a more dense playground over a fully panoramic spectrum, with numerous layers of ever-shifting dynamics and reclusive strands of compelling disonnance. The album closer “Aequus Nox II” is another where silence and spaces are are as powerful as the notes and structures that separate them. All nine tracks on 30/36 taken together make for one powerful and epic mind journey.